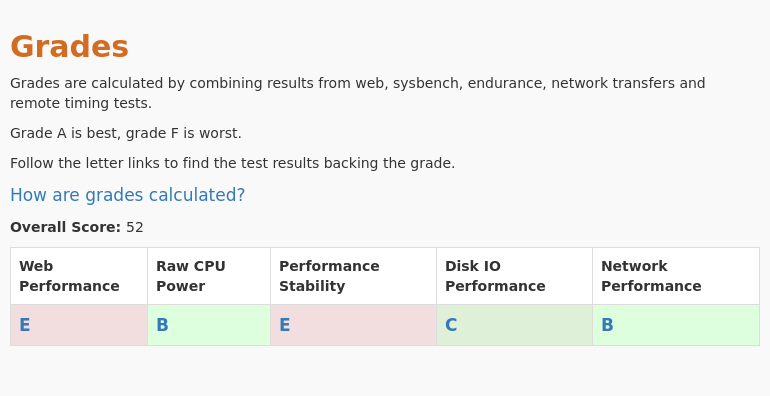 This page compares the results of sustained cpu endurance tests on the selected VPS plans. Endurance tests measure the ability of a VPS to sustain intense and prolonged CPU utilization. Each test consists of a CPU intensive task run in a loop continuously for 24 hours. The test targets an overall 50% CPU usage on the VPS. Note: Charts use the data of the most recent trial of each plan. This is the average number of iterations the VPS executed every hour over 24 hours. 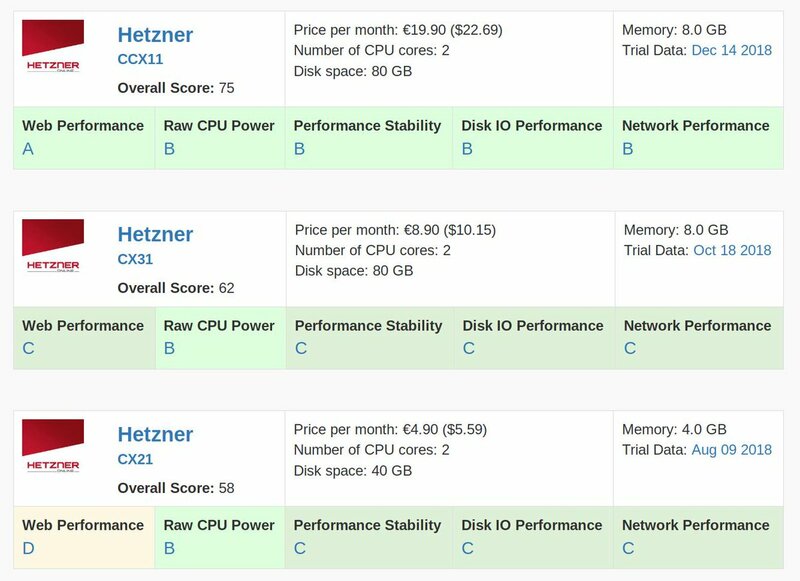 A higher number means the VPS is faster. The coefficient of variation represents the stability of the VPS performance over the course of the test. It's the standard deviation divided by the mean number of iterations per hour. A lower number indicates better stability. This is the average proportion of CPU that is "stolen" by the hypervisor. A lower performance can often be explained by cpu steal running over 1%. 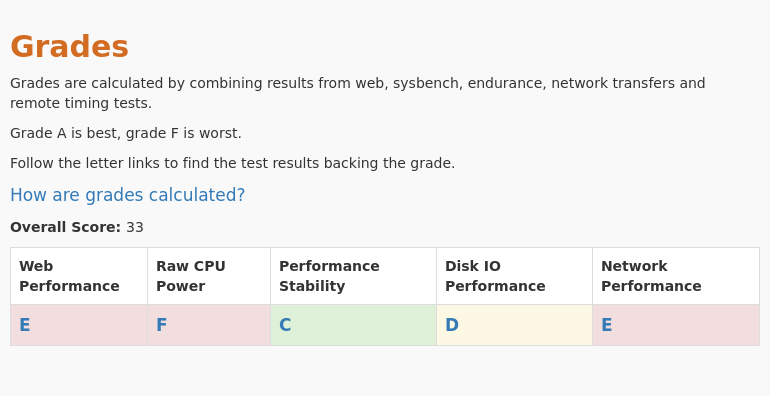 A higher number means the VPS host may be overallocated. This is the average proportion of CPU left idle during the test. It simply serves to verify that the target 50% cpu usage was reached.